Campbell & Kennedy scooped three awards at the recent West Dunbartonshire Working4Business Awards for excellence in customer service, excellence in people development and best performing business (more than 25 employees). Wheatley Group, Ministry of Defence and Scottish Canals sponsored the three categories and were joined by other big brands on the evening that was hosted by popular TV and radio presenter Kaye Adams. Gerry Kennedy, Managing Director at Campbell & Kennedy, said that he was “absolutely delighted” with the award wins and felt “proud” to be part of the inaugural awards. “We are all thrilled to have won these awards and it makes it even more special that our efforts and hard work have been recognised in the area where Campbell & Kennedy was founded over 60 years ago and where we are headquartered today. Having established a reputation for television installation excellence that endures to this day, Campbell & Kennedy has expanded into electrical contracting, renewable energy and fire safety. The family business plays a key role in West Dunbartonshire and the surrounding areas, working with local councils and housing associations to provide sustainable schools, homes, colleges and more. Campbell & Kennedy has engineers working up and down the country on a variety of projects. 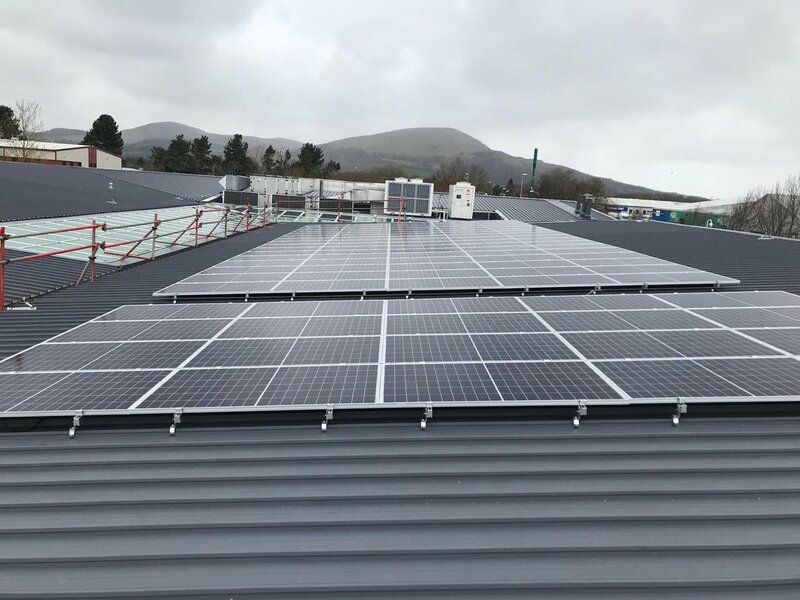 They have installed solar panels to St Michael’s Primary School in Dumbarton and more recently to St Mary’s and St Stephen’s Primary Schools in Clydebank. Gerry Kennedy added that he would like to congratulate all the local businesses who were involved in the awards and commented that West Dunbartonshire put on a great night at the glittering awards ceremony, which took place at Clydebank Town Hall.